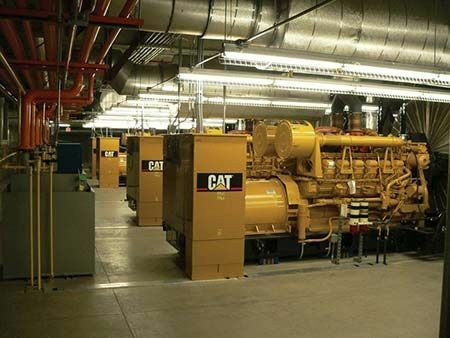 Cat® gen sets and other power systems are known for their low maintenance requirements and low cost of ownership. When repairs are required, however, buying used is one of the best ways to save money without compromising performance in the long term. Used power system components — such as motors, transfer switches, radiators and more — are considerably more cost-effective than their new counterparts. In many cases, they can be a more convenient choice as well, helping you get back up and running faster. At Gregory Poole, you’ll find a large selection of high-quality, low-hour used power system parts by Cat and allied brands. You’ll also appreciate our fast delivery. Typically, we can deliver the parts you need in 24 hours or less. Contact a representative for pricing and availability. The financial benefits of buying used power system parts should be obvious, particularly when you take into account the long-term quality of Cat equipment. There are also other equally significant advantages that make used an attractive choice. When performing a major repair, such as replacing a motor or radiator, purchasing a used assembly can save you the hassle of purchasing individual gaskets, hoses, seals and other hardware separately. Speak with a Gregory Poole representative directly to learn more about your options. The popularity of Cat gen sets means there is no shortage of quality parts available on the used market. One advantage of this is that replacing out-of-production or backordered items is easy. Rather than waiting for a new part to arrive from the factory, you can often get your order faster and return to full productivity sooner when you choose used parts. At Gregory Poole, if we don’t have what you’re looking for in stock, we can often source it from our network of dealer partners and deliver it to a location near you the following day. There are plenty of reasons to buy used power system parts and make Gregory Poole your exclusive supplier. For over 65 years, we have been helping clients work more effectively on any budget. Contact our used parts desk today and discover what we can do for you!